April 8th 1738 , an obscure epitaph for a British gentleman came to the notice of observant readers - At his House in Cavendish-Square, aged 64, Robert Adams, Esq; one of the Directors of the East-India Company, and formerly Governor of Tellicherry in India for the said Company. The above Gentleman, when in India, being once a Hunting, and separated from his Company in the Woods, was attack'd by a Tyger, who seized him by the Shoulder, but he at the fame pierced the Tyger with a lance through the Body, and they both fell together; but happily disengaging himself, he kill'd the Creature on the Spot, and hath ever since born a Tyger rampant in his Coat of Arms. He is said to have dy'd worth £100,000/- which he has left to his two only Daughters, both unmarry'd. Now those reading it will think that the biggest act in Adam’s life was the killing of a tiger. Well, he was certainly more than that, he was considered adroit, resourceful, cunning and what not, depending who you asked. This bloke spent most of his adult life of some 42 years in Malabar, was fluent in Malayalam and hobnobbed with the Kolathiri raja, the Ali Raja, Zamorin, the Cochin Raja and the Travancore Raja, and many a time played one against the other. He enriched himself, plied his own ships in the seas while passing off as a British country trader and the Chief of the Tellicherry factory. The Dutch considered him their nemesis, the French hated him with a vengeance and as time went by and the British even titled him their governor in Malabar. His house at 8-Cavendish square in Marylebone, London, built after retirement demonstrated his status and wealth. Time we got to know him right? I believe he arrived at Tellicherry in the 1687, just 13 years old and it is mentioned that sometime in 1703 he shifted to Calicut where he lived on until 1720. Later, he moved to Tellicherry as the head of the EIC factory until 1728, till he was forced to scoot and sail back to London. His times in Malabar are quite interesting and he was much involved in the politics of the land as well as the activities of the EIC at the Tellicherry factory treading a narrow grey zone when it came to ethics. The Calicut factory was first established in 1616. In 1664, the Dutch were instrumental in expelling them from Calicut and but was reestablished in 1668. The Calicut factory according to some records did not do much, and an old report in the Calcutta review states - In 1615, Captain Keeling, with three English ships which were the same that had brought Sir Thomas Roe on his embassy to the Great Mogul, arrived off Calicut and concluded with the Zamorin a treaty, which included permission for the founding of a factory at Calicut. The Zamorin's object was merely to obtain the help of the English in driving the Portuguese from Cranganore and Cochin, which they had conquered, and when the English showed no signs at helping in this business, the ten persons who were left by Captain Keeling to found a factory received very ungracious treatment. 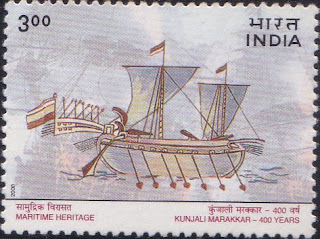 However, by the middle of the seventeenth century, the English Company had contrived to supplant both the Portuguese and the Dutch to some extent in many parts of India, and in September 1664, an agreement was concluded with the Zamorin for the establishment of a Settlement at Calicut, the Company agreeing to pay duty to the Zamorin on the trade carried on at the port. The jealousy of the Zamorin, whose experience of the Portuguese had not been favourable, continued nevertheless, and it was not until after the English Company had been settled nearly a century at Calicut, that they were permitted, in 1759, even to tile their factory there, so as to protect it against fire. It does not seem quite right though and we know from many records that if not the Calicut factory, Robert Adams as the local resident in the 1690’s period did well personally as the resident and country trader. The appointment of Alexander Orme at Anjengo was another important event and the subsequent friendship between Robert and Orme was to structure Malabar British relations for quite some time and create famous progeny through marriage between the two families. It was an enduring bond — Adams married Margaret Hill, Orme her sister. Orme became chief of the station at Anjengo, where a massacre occurred in 1721 of a predecessor, William Gyfford, and many under his charge. Orme’s second son, Robert, was born there in 1728, and was named after his uncle Robert Adams. Robert Orme is nowadays considered the historian of India. With the arrival of Robert Adams in Calicut, the relations between the new Zamorin and the British took a new cordial tone. When he extended his hands in friendship and provided financial support for the Zamorin’s ventures, the Zamorin countered by reducing duties on pepper by 25%. The Zamorin then sided with the British and ensured that they were not cheated by local traders, with threats of a boiling oil ordeal in case of any charges against them. He ordered thus - “In consideration of the aid rendered at Calicut and money given to my servants, we promise that, the matter of the contract entered into by you and you to pay if any dispute be raised by any one in regard to the value of the articles they agreed to supply for money received, I will compel him to deliver the articles on return of the money, as may appear just, and subject him besides to an oath (ordeal). If his hand comes out clean, he will be held innocent and you will have to pay him, as usual, the expenses he may incur (in taking the oath). Vissicher had the following to state about Adams in Calicut covering three periods of Adam’s life in Malabar. Calicut, though still a commercial town, is falling into decay. Many ships, both English, French and Moorish, however, keep up their trade with it, because there are no restrictions on commerce, with the exception of a duty of 5 per cent, paid to the Zamorin on all imports, to enforce which he keeps officers stationed here. As the English have the largest business they are the most favoured by the Zamorin, whom also they often supply with money when he is in want of it. Mr. Adams, the head of the English in this place, was brought up there from a child, and having, from his youth, traded with the people of Malabar, he acquired a familiarity with their language which gained for him much influence among them. In consequence of this advantage, he was chosen by the English as their Governor. Being an enemy to our Company he incited the Zamorin to the late war, himself lending, in order to promote it, 100,000 rix dollars, with which that Prince defrayed the expenses of the war:—we have no reason to doubt this story, since he even sent English officers to assist the Zamorin, to defend Fort Paponette against our arms. Nay more, when Chetwa was conquered by the Zamorin, and our people expelled, the English immediately erected a factory there, in order to secure the pepper-trade; this factory was destroyed when the fort was re-taken. I will relate an instance of this sort of conduct which took place at Calicut in the year 1720. The English officer, second in command there, went out one day to drive in his carriage. It happened to be a day when the great national assembly of the Malabars was collected in the open air to deliberate on the affairs of the State. The Englishman, in order to shew his contempt for them, instead of making a circuit, drove right through the multitude, in spite of their entreaties that he should desist from such unbecoming conduct, which threw the whole assembly into the utmost confusion. On the following day, when the assembly met again at the same place, the Englishman chose to shew his courage by driving through it again with some ladies who were in his carnage. This time the people were so incensed at the repetition of the outrage, that they struck their hands to their weapons and cut the carriage to pieces, and the hero and his amazons had to escape wounded to their homes. Though this was no more than the miscreant deserved, yet Mr. Adams, declaring that the conduct of the natives was cruel and inhuman, left Calicut and threatened to set the bazaar on fire. The Zamorin, who reaped so much profit from the English trade, managed to pacify him and to recall him to Calicut, but as the bad feeling of the natives towards the English still exists, he distrusts them and spends most of his time at Tellicherry. While the tenure of Adams’s stay in Calicut during the 1687 to 1703 period is not well detailed in any primary source, his times and machinations as the chief and Governor of the EIC factory in Tellicherry is better known. His involvement on Malabar trade and its politics are somewhat well recorded from the time he was made the chief of the EIC factory in Tellicherry. The EIC had finally chosen Tellicherry after toying with ideas for locating a major factory either at the Indonesian islands in Bantam (Java) and also at Calicut. Due to continuous sparring with the Dutch at Calicut, they decided to occupy the factory abandoned by the French at Tellicherry late in the 17th Century. This proved to be a wise decision for the EIC, for the pepper obtained from Randattara, Kottayam and Valapattanam were of better quality and the duties levied by the Kolathunad raja was lower than Calicut. It was in these circumstances that in 1703, the competent Robert Adams with strong local knowledge took over from Thomas Penning as its chief. His brother in law Alexander Orme was appointed the chief at the southerly factory at Anjengo near Attingal (Adams was also involved in resolving the situation after the 1721 massacre at Anjengo). A shrewd politician and more than just a trader bringing profit to the EIC, Adams spent his years tarrying between the rajas of Kolathunad, Calicut, Kadathanad, the Ali Raja and sometimes even venturing south to Cochin and Travancore, but always maintaining cordial relations with them. George Woodcock writes - The Dutch were not the only Europeans anxious to feast on the great spice trade which the Portuguese had created and been forced to abandon. But the English remained, and under their most active administration, Robert Adams in Calicut and Alexander Orme in Anjengo, they energetically cultivated the favour of the local princes of Calicut and Travancore. Other nations followed their example. His first act was to fortify the Tellichery installation with material support from the Zamorin. Robert Adams was the one to lay the foundation stone for the fort and this remained one of the EIC’s strongest forts in the region. Robert Adams’s adroitness in securing permission for the fortification of Tellicherry from the Vadakkilamkur Raja and material support from the Zamorin is testimony to his relations with two rajas who were otherwise wary of each other, to say the least. Following the fortification, he obtained a monopoly for spice trade from the Kolathiri king. But another event which brought his name to the fore was the acrimonious relations between the EIC and the Kurungoth Nair in whose lands the EIC factory actually stood. The Nair (who depended on the duties and rent) instigated by the French who had returned to start operations nearby in Punno, demanded continued payment of duties from the EIC, which they refused to pay. As matters transpired, the Nair supported by a rival Kolathiri Prince of Udayamangalam attacked an EIC warehouse situated North of Mahe, in 1704, and destroyed it. Skirmishes continued for many years and finally Adams retaliated with force in 1715 by commencing hostilities with armed forces against Unnittiri and Kelappan, the two local chiefs of Kurungoth Nadu. They were defeated, the Nair had to sign an agreement accepting EIC superiority and he also ceded the Mailam hill to the EIC as reparation. We will get into this battle in more detail another day and examine the circumstances, but for now suffice to note that Adams established himself and EIC as an important factor in Malabar politics ever after. Another longish story is the involvement of Adams in the fight for Chetwa between the Zamorin and the Dutch. Here we see that Adams had a personal stake. In reality he did a lot of trading on the side and outside the EIC books. We can see that Adams organized a large and profitable trade in opium whose consumption was popular in the Cochin and Venad regions. Robert Adams, turning in a good personal profit, imported Bengal opium and sent it up-river on empty EIC pepper boats to Chetwa, for further sale. The situation as conducive to Adams, due to the peace treaty between the Zamorin and the Dutch signed in 1710. But when the Dutch decided to fortify Chetwa, the act would not be tolerated by the Zamorin. Adams, whose business was also affected by the entry of the Dutch in Chetwa, instigated the Zamorin to launch a surprise attack on the Dutch in 1715, and provided English armaments and forces in support. The fort of Chetwa was eventually destroyed by the Zamorins forces and the Dutch had the humiliation of seeing the English flag hoisted at Chetwa. The Zamorin then built a fort at Paponetti with English forces manning it. The Dutch had no choice but to retaliate and they were supported by forces from Batavia led by William Jacobitz. In 1717, they destroyed the Paponetti garrison and recaptured Chetwa, but all this was at a great commercial expense which pulled down Dutch balance sheet even more into the red. So much so, they proclaimed that with effect from 1721, they would not enter into any more wars to support the Cochin raja. It was also during this time that Adams had an apparent fall out with the Zamorin (maybe due to events at a Calicut bazar) and retired to Tellichery, as we saw from Vissicher’s notes, quoted previously. Adams then found his name broadcast due to his sometimes acrimonious and oftentimes friendly relationship with the French who were vying to get a strong foothold in N Malabar. They started by signing an agreement with the Kadathanaad raja for pepper monopoly. Adams was instrumental in getting the Vazhunnavar to attack the French at Mahe, and these kinds of attacks continued while Adams at the same time maintained a friendly personal relationship with Tremisot, the French chief at the Calicut lodge, exchanging frequent letters on commodity prices, attending mutually hosted parties and so on. Various sources point out to Adams’s involvement in funneling tobacco and pepper purchases to the EIC through himself and many benami (fictional or other third parties) names. We also note that that the VOC was quite furious at all this and even had planned to employ people to silence him on some occasions. He chose to follow rules only when they suited him and otherwise flouted them at will. But he got away with it all for a long time. But his later years at the EIC outpost were clouded by accusations of misappropriation and personal profiting at company expense, all acts which were often in practice amongst the many EIC managers of that time. Just around the time he was being bandied to take over as Bombay Governor from William Phipps, the accusations came out and the next years were spent fighting these as well as threats of legal actions. Adams had been tipped of the activities by his friends in the Bombay bureaucracy and he was encouraged to leave Malabar for the sanctuary of London. Let’s take a brief look at this epoch in his lifespan. It appears that Adams had loaned large amounts of company funds to the Zamorin and other Malabar ‘princes’ to fight the Dutch. Some 650,000 fanams could not be recovered and Adams was forced to sign bonds for their recovery. Additional charges against him were in retaining EIC ships for longer periods at Tellicherry and their missing profitable business opportunities due to this, lading company ships with his own stocks of pepper, and indulging in expensive conflicts with the French at company expense. To prevent him from absconding, his wife Margaret was detained. Nevertheless, the couple managed to scoot and sail to England from Calicut in 1729, ending their many decades of life in Malabar. In London, he worked hard to have his name cleared and furious correspondence ensued between him and the EIC directors. He argued that all his actions were as subordinate to the Bombay offices and that there had been no objections, all along. Since many of the serving officers and directors were also complicit, he managed to get away from any kind of formal censure and was eventually cleared. A lot of claims due to him were paid by the EIC in Bengal and with it Adams purchased his new house at Cavendish square from the Duke of Chandos, in 1730. He had brought with him three Malabar servants Edward, Antonio and Abgail, but it appears that the harsh London weather disagreed with them and they went back home in 1731. It was in 1732 that Adams acquired the Tyger coat of arms and found a home for the poor tiger’s skin on a prominent wall of his home. Even larger compensation claims by him were remitted by the EIC and he lived a life of comfortable retirement, in London. It may be interesting for some readers to note that these areas in London were developed, resettled and promoted by the so called ‘distasteful new Indian (pepper or Malabar money) money’ brought in by such nefarious and avaricious traders. After his return to London, it appears that Adams continued to invest monies in the India trade. His infant nephew, Robert Orme, was sent from India to be brought up in Adams’s house from the age of two and later sent to Harrow for schooling in 1734. In 1736, Roberts Adams passed away leaving behind an estate reportedly worth £100,000. R Orme went back to India in 1742 aged 13. The widowed Margaret Adams vacated the big house and moved round the corner to a marginally humbler dwelling at 6 Cavendish Square. Adam’s house at Cavendish Square served as an embassy for the Spanish in the late 1840's and the Brazilians around 1860, finishing up as the Japanese Legation until 1892.It later became the UK headquarters of Chevron, the giant American energy corporation. Adams’ correspondence, now archived as the Adams letter book, reveal much about the English private trade in Malabar and through to Bombay. Adams private enterprise involved not only financing the local rulers such as the Zamorin, but also holding a share in the shipping ventures of that period. We note from his letters that Adams held a sixteenth stake in one ship belonging to Captain Gilbert and was one investor among thirty two in another ship, the Wyndham. We can also see that by 1707 Adams was even involved in constructing and managing his own vessels, attested by his purchase contracts with one William Gayer to buy masts, timber and various other ship provisions. 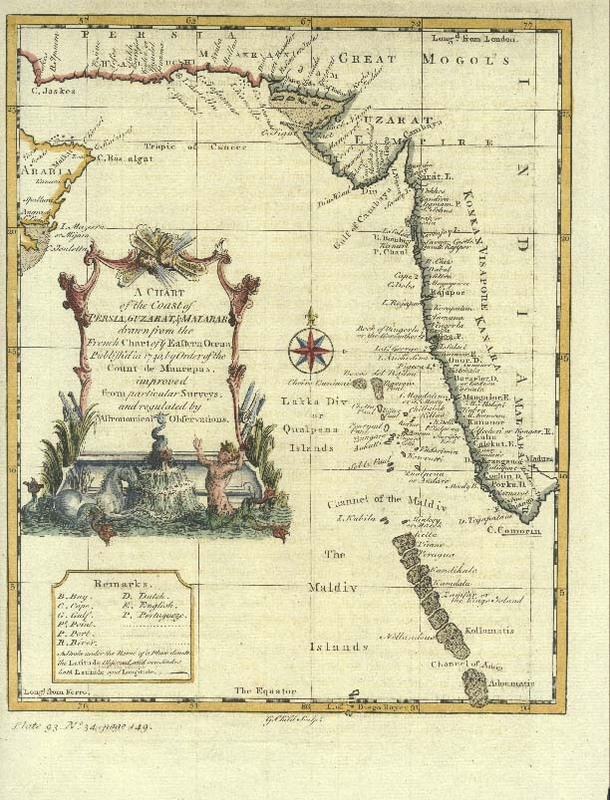 Some of his vessels were recorded as having called at Mocha in Yemen, sailing from Calicut around 1721. We can also see piracy accounts related to Adams’s ships operating along the Malabar Coast which had been attacked by both the Dutch and Angre’s fleet during the 1720s. Another noteworthy incident occurred when Robert Adams’s ship manned by Moplahs was involved in the Jeddah massacre in 1726 where Adams’s supercargo (one who traded on behalf of a principal) Frankland and Dalgeish ended up getting murdered by an irate mob. Adams settled the case after obtaining large compensation. Adams was also a provider of information and business tips to his friends, he informed them regularly of incidents in parts of the world through lively correspondence, and provided them market information often on Malabar and Persian trade. He invested heavily in joint ventures with Charles Boone (his close friend and governor of Bombay) at this time. Adams’s sisters were married to East India Company officers resident on the west coast; Hannah to Hezekiah King and Eleanor to Alexander Orme. 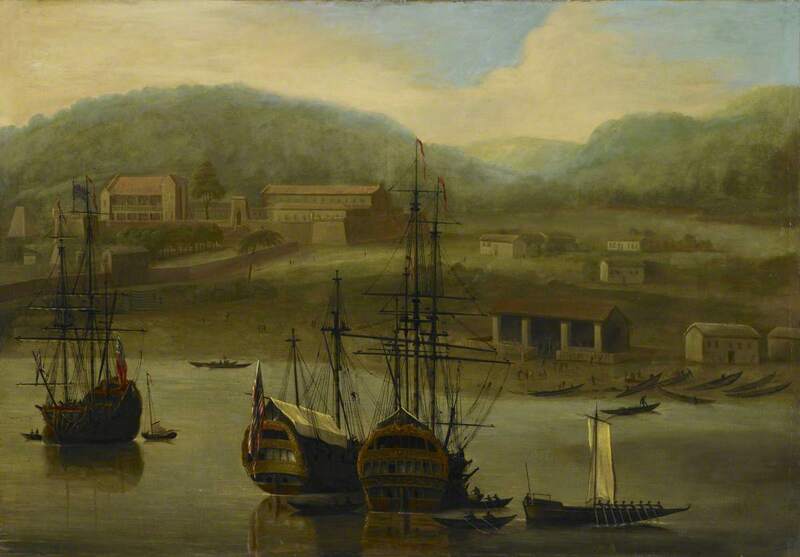 Both of Adams’ sons, Robert and Benjamin, were also in the East Indies forging careers in commerce. From London, Adams provided much support to Robert and particularly Benjamin. As is obvious, he offered them advice, and recommended them often to other higher placed EIC officers such as William Wake, Stephen Law and Robert Cowan; each of whom eventually became governors of Bombay during and after Adam’s stay in Malabar. Adams asked Stephen Law to regularly advise him ‘how my son Benjamin behaves himself and lives’, keen to be the first to know about any indiscretions or ‘any loose or extravagant behavior of his’. Moreover, Benjamin was encouraged by his father – like any good merchant – to be a diverse and varied trader, to hold more than one investment at the same time and to endeavor to be an amiable, friendly and well-grounded individual in order engage in successful business. He was also the first to experiment with different methods in remitting his profits to security in London. Edward Harrison, always professing sane advice, suggested to Robert Adams in 1721, that diamonds could be an efficient method of remitting money back to England. I won’t be surprised if Adams had himself dictated this, he was one canny individual! But one thing is clear, from a sleepy little port, Tellicherry rose to the position of a trading post of much prominence, and for that it owes much to the machinations of country traders like Robert Adams. I got very late now commenting your hard researched article,was busy and was facing floods in close quarters ,my house kalamassery close to aluvai. Luckily we all safe , you can also do bit comparing 1924 floods and the present one. Now we could understand, there were cunning business men in those days indulged in Machiavelli politics and mint money!!! I hope you are Ok and things are getting better out there and sorry to hear about the impact of the floods. I will definitely get to the previous floods and write something one day. the story of Adams is pretty unique, there were many of these traders, but not everybody rose to eminence like Adams.